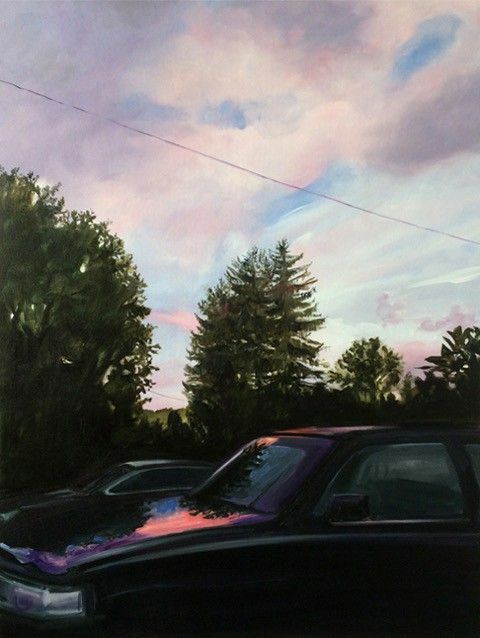 ​The Painting Center is pleased to present the paintings of Claire McConaughy in the Main Gallery and Project Room. McConaughy describes her paintings as “translations of scenes that have been shifted, the way a poet recalls an event and reconstructs it into words, metaphors and impressions. The paintings originate from actual places, but the images, colors, brush strokes and compositions are adjusted until they are new moments.” Coming from a small town surrounded by wooded areas that she has been painting since childhood, McConaughy brings those places to her current home in Brooklyn to paint from. The source images become part of the present while filled with memories.